In case my previous posts have made you think that I'm not too keen on the silent era of Hollywood, let me just confirm that fact by presenting you with the biggest fiasco of the mid-1920s: "The Phantom of the Opera". Suffice it to say that "The Phantom of the Opera" was a mess from start to finish with the original director walking out and multiple cuts needed to make the story more entertaining for the low-brow masses. Test audiences were less than impressed by Universal's attempt to ape the European film industry's style of faithfully adapting novels for the silver screen so comedic characters, more action scenes, and various changes to major plot points were tried and removed until a middle ground was reached. Finally, a chase scene was added to the end as the heartbreaking finale of the novel by Gaston Leroux didn't work for bloodthirsty Yanks. Even though "The Phantom of the Opera" wasn't the first "horror movie" to be remade, it was still most assuredly a more lavish and overlong remake of the 1916 German version by Ernst Matray, "Das Gespenst im Opernhaus" or "Das Phantom der Oper" (which allegedly was co-written by Greta Schroeder of "Nosferatu" fame). Talkies hadn't even arrived and already Hollywood was out of ideas! What makes "The Phantom of the Opera" even more ludicrous in the age of silent films is that it's about an opera! I suppose that's almost as daft as writing a book about an opera, but if ever a movie needed sound, it's this one! Universal did indeed create a semi-talkie version in 1929, but it's now considered lost. One thing you can definitely say about Mary Philbin is that she was a very beautiful girl. Call Hollywood filmmakers shallow, but their movies have always been about exceedingly good looking stars. While the European movies were full of plainer "character faces", Hollywood in the 1920s was all about the glamour. You can say what you like about Lon Chaney in his scary make-up, but he was still a rather handsome chap underneath the prosthetics. Similarly, Mary Philbin's onscreen love interest, Norman Kerry, was a typical moustachioed leading man of the time who was not too dissimilar to Clark Gable given the right lighting. Thus, it's hardly a surprise that Mary Philbin was cast almost entirely because of her looks. You can possibly throw in a wee bit of nepotism since she was friends with Carla Laemmle, the equally beautiful niece of the producer and founder of Universal pictures, Carl Laemmle, but that's not quite how things happened. Carl Laemmle didn't really think Mary was lead material until she'd been in a few other movies. Until "The Phantom of the Opera", she may have been lovely to look at, but Mary was still thought of as an untrained and fairly mediocre actress who had a terrible high-pitched speaking voice and couldn't even sing! Ironically, that made her perfect for a silent movie role as an opera singer. 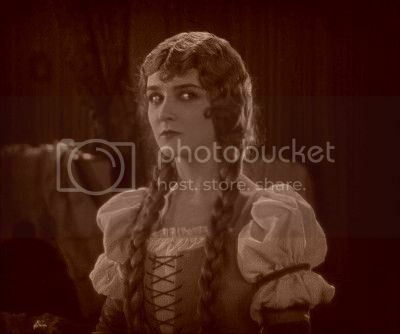 Having watched quite a few silent movies (although not at the time they came out because I'd have to be a vampire or have a time machine to have done that), I don't think Mary Philbin's acting in "The Phantom of the Opera" is as bad as many of her detractors might have had people believe. She seems very competent in that slightly awkward silent movie era style, but is a lot less mechanical in her actions and movements than the other performers until much later in the film. She was clearly learning as she went along, and it shows in how she detrimentally changes from very natural to horribly stylised. The story is that Lon Chaney gave her and other cast members direction in place of Rupert Julian which, of course, led to a lot of arguments. Not taking anything away from Lon Chaney's obvious talents and credentials, but if that was indeed the case, Rupert Julian may have been either too ahead of his time or too theatrical. it all depends on who was the bigger influence. As Mary Philbin claimed that she learned a lot from Lon Chaney, if the scenes were filmed in chronological order, I'd hazard a guess that Chaney's exaggerated old school mannerisms rubbed off on her and not in a good way. There's one particular moment (around 43 minutes in) where Mary Philbin sparkles with delight in a way that only Audrey Hepburn would be able to emulate later in "Roman Holiday" (1953). It's possible that such a look is due to the Irish blood in both actresses, but I don't really know about such things. All I can say is that when a pretty actress seems to genuinely show delight, it's guaranteed to make the viewer fall a little bit in love with her. 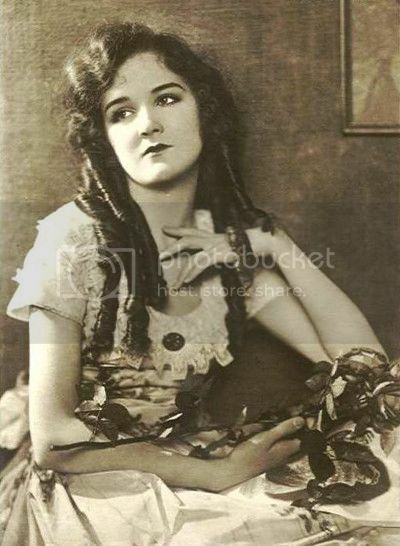 Mary Philbin as Christine Daaé again. Ultimately, Mary Philbin was unable to make the transition to talkies and retired from the movie industry. Her personal life behind the scenes was a fascinating and sad story, but I'll let you read that on the IMDb at your leisure. 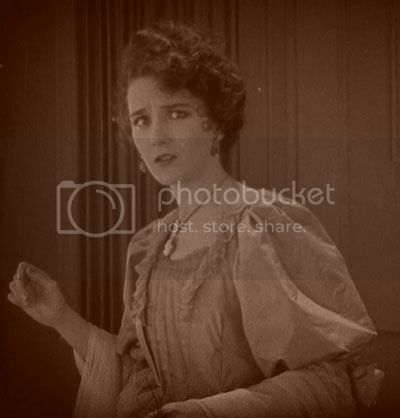 For this post, it's enough to remember Mary Philbin as she was as Christine Daaé. In spite of all the flaws, "The Phantom of the Opera" generated so much profit for Universal that it laid the foundations for the famous horror movie monsters of the 1930s. Without Mary Philbin as the object of the Phantom's desire, we may have never seen Dracula, Frankenstein, The Mummy or The Wolf Man. It's entirely up to you if you think that's a good thing or a bad one though. 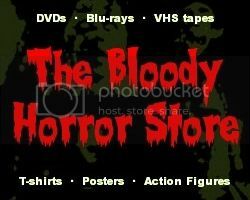 I'll be saying what I think about the horror movies of the 1930s later.